Do you remember the last time you posted on social media? No? Reconsider today because inactive social media accounts can harm your business’ online reputation. Social media is here to stay and has become a daily part of nearly everyone’s life. In fact, 81 percent of the U.S. population has a social networking profile, and millions of people have more than one social networking account that they check at least once a day. When prospects and customers search for your business and come across a social page that is inactive or overwhelmed by negative comments, it gives the impression that you no longer care about your business. In most cases, the lack of social media activism is a major turn off to customers. 84 percent of people trust online reviews, meaning what potential customers see online plays a significant role in the decision-making process. If you do not meet the criteria for a successful social media account, your prospects will search for other companies immediately. The saying, “you only have one opportunity to make a first impression” is especially true today due to the instant exposure and convenient access to information social media provides. What if you maintain an active social media presence? Staying active on social media presents a multitude of benefits to your business, especially now that social media is no longer “new” media. The likes of Facebook, Twitter, and Instagram have been around for a while, and several businesses have leveraged on its potential for growth. Think of the internet as a gigantic fishbowl where some websites are guppies and some are predators like orcas and sharks. Maintaining active social media profiles can help build your brand and stay alive in the water full of predators. Your business will find the most success if you remain transparent and share relevant information with target audience members. Doing so not only builds your brand as a trusted source, but also as an authority figure in your industry. 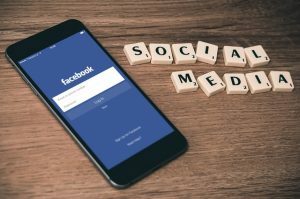 Social media is one of the best platforms to share information about your business, allowing you to connect with potential clients or customers and give them a favorable view of your brand. This strategy will get your business in front of the right people, which over time, will help you build a much stronger brand. While there truly is an undeniable thrill in getting social media followers, the ultimate goal of any social media marketing campaign is to drive traffic to your business website. That is why the number of followers you have does not matter if you have the wrong ones. Quality always triumphs quantity, meaning thousands upon thousands of followers do not mean much if they never engage with your business. Having the right social media followers, ones that are actually interested in your products or services, can provide the conversions your small business needs to prosper. In simple terms, an active social media presence does play a significant role in determining a website’s search engine ranking. For instance, links that go viral (shared frequently) in social media become trusted by Google, and if that link leads to your website, Google may increase your search engine ranking. If you do the math, more shares in social media may be equal to better website success. Having well-maintained social media accounts can increase your authority as a trusted business. For example, if someone wants to work with you, they will gather information about you and your company through social sites like Facebook, Twitter, and LinkedIn. Your social media activity makes your business look relevant and active, which will help build your credibility and bring in more business in the long run. The internet is swimming with “trolls” and fake news. If you become a victim of false accusations and slanderous remarks, you can use social media as a way to generate PR for your company. Among the most popular social media sites to address and correct issues include Facebook and Twitter. Need help running your social media profiles? No matter which social media platform you are using, your account needs to be active in order to make a difference. An easy way to avoid pitfalls is by hiring professional social media specialists to manage your profiles, passwords, and security settings — which establishes a stronger, more secured, and positive online reputation. At OptimizeX, you can rely on us to help you define and drive your social media marketing strategy, recommend the appropriate social media channels to use, create and post messages and videos, alert you on negative feedback, and report regularly on your advertising campaigns and monthly efforts. Interested? Contact us now! We have the skills, tools, and technology to take your social media presence to the next level.